Can any one please provide me the application for accommodation in Assam University Guest House? Assam University has one guest house with 12 furnished rooms. In every room, there is internet connectivity. 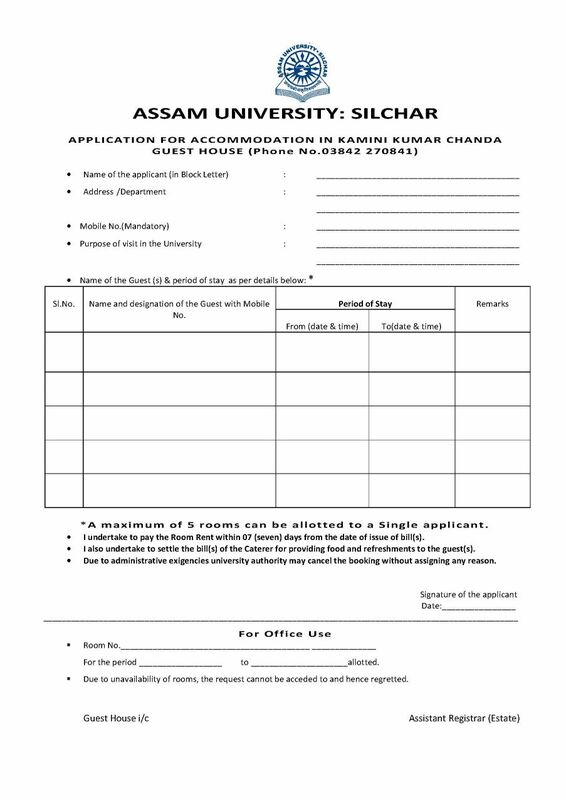 A maximum of 5 rooms can be allotted to a Single applicant. Due to administrative exigencies university authority may cancel the booking without assigning any reason. All times are GMT +5.5. The time now is 02:09 PM.